Well, I will tell you all that I wasn’t sure I could create something beautiful and keep it budget friendly for this particular type of outdoor structure. I clearly didn’t have enough faith in myself because now that I am finished, I feel a bit like superwoman! Witness and observe…know that this is actually very budget friendly and affordable. For Installation using method below: otherwise you will need to purchase alternate hardware for fastening to concrete in a form or using post anchors on your patio etc. 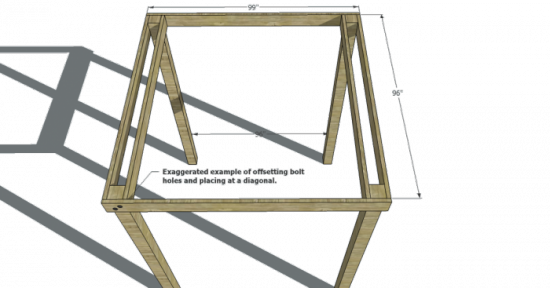 ** Optional: Galvanized Hanging Hardware – especially for areas with Seismic Activity- this is also an additional method of building that makes certain aspects a bit easier when working with heavy beams. Note: This cut list will change if you alter your method for installing and change the dimensions. If you need help calculating any of your new dimensions, feel free to send me an email and I can help walk you through it. 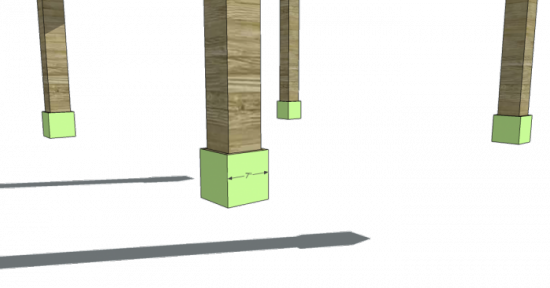 4 – 6×6 Posts at 8′ if you prefer 10′ height, this will change as an exact measurement if you install as outlined below. 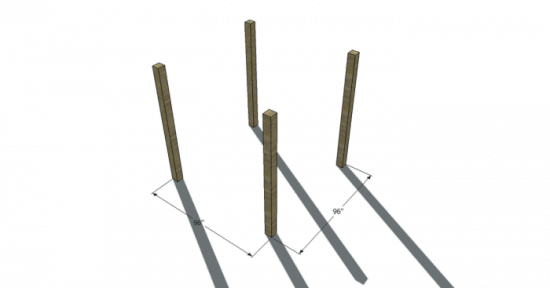 If you are planning on cementing the post directly into the ground, you will need to allow for that added length. 2 – 1×2 at 100 1/2″ (Upper Trim) – **if you prefer to miter the corners you will actually need 4 at this length. 8 – 1×3 at 7″ (Upper Post Trim) – if you prefer to miter the corners you will need 16 at this length. // ** You will want to pre-drill and then pre-finish for the most optimal outdoor use and a more water tight seal for each board. Choose wood appropriate for outdoor use if possible to ensure a greater lifetime for this structure. This would include Cedar and Redwood. Check with your local lumber supply for additional options available for your area. **I would like to call to your attention the fact that you may need to check with your county before building to ensure you don’t need a permit. Some counties are very strict regarding anything that can be construed as a structure in, near or around your home. The Building Department can help you determine an appropriate distance from your home as well as an appropriate level to bury your posts. You will want to secure them just below the frost line if you live in a locale that has freezing temps at any point. Be safe and be sure so that you don’t pay the price later. Trust me it isn’t worth it. **For those of you who need to consider seismic activity, there is special hardware for hanging your beams, that you can purchase to ensure your safety in the event of an earthquake. 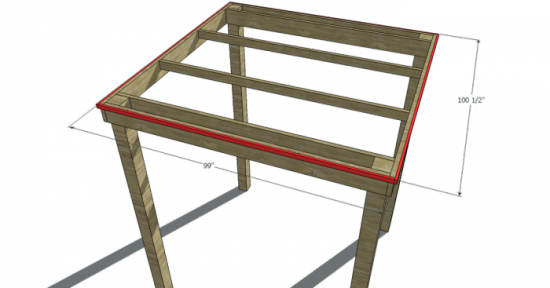 ** You can customize the outside edges of the rafters on this project by carving out a design with a jig saw. 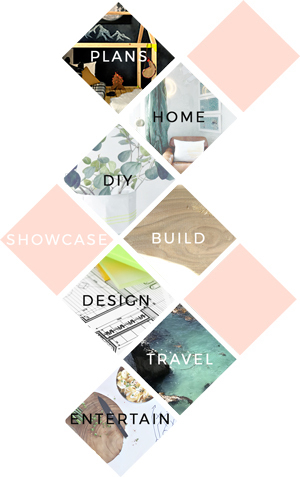 I chose to leave that off of this plan for ease of building and design purposes. I will likely provide a later plan that will include this. Treat the end of the post with wood preservative. Then lift up the post and have a helper align the center hole with the pipe. Slowly lower the post over the pipe until it sits on the concrete footing. Do the same for the remaining five posts. Check to be sure that each post is perfectly plumb; if necessary, drive a cedar-shingle shim underneath to align it. Image of the different options explained: click on the link above and scroll down for information on these methods. Set your Posts into the ground in your desired manner. 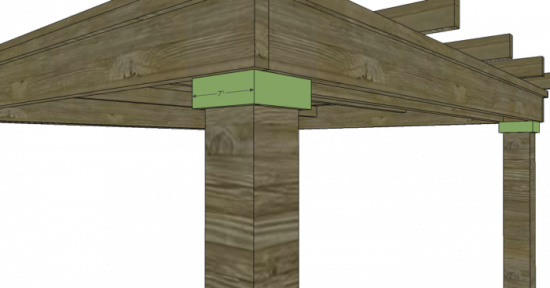 For those of you working over a patio you will install the posts with the hardware required and make sure each post is plumb and square to all of the other posts. I have designed this to be at an 8′ height and width for cost, however you are welcome to increase this height and the overall dimensions as desired for your space. If you go beyond the 10′ mark, consider adding a third pair of posts to increase the strength and stability of your structure. 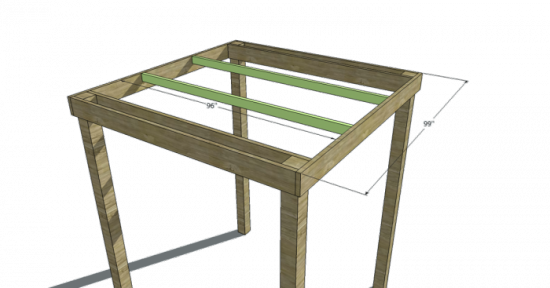 Build the Frame of the structure: Attach the beams with Screws, then drill for bolts and secure using 9″ Carriage Bolts on the sides that have double beams. Go through the beams and the post, slip on a washer and nut on the inside of the inner beam or post and tighten. For the side that has only one beam, use 8″ Bolts. Offset them at a diagonal on every board to avoid wood weakening. 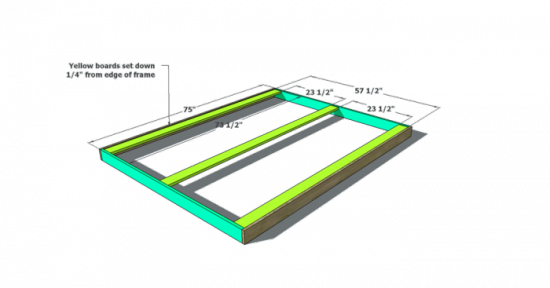 The frame should be constructed as shown below. This image shows the manner we will attach the beams in example C: and in the right hand example in the image just below that. Only you will be offsetting your bolts which these images don’t show. Attach the Cross Beams: Use 4″ Galvanized Deck Screws. Fasten the Upper Trim to the Frame. You can choose to Miter the corners, if you like, for a more finished appearance. I did not do so in this example and believe it still looks amazing. I wanted to keep this simple with no special tools required but this is subjective and you can choose your preference. Secure with 2″ Galvanized Deck Screws. Attach the Rafters: Use 3″ Galvanized Deck Screws, pre-drill at an angle down through the side, then bottom of the rafter, and into the beams. Fasten the first screw on one side then the next screw from the other side, and so on, so that it is well balanced and supported on both sides. 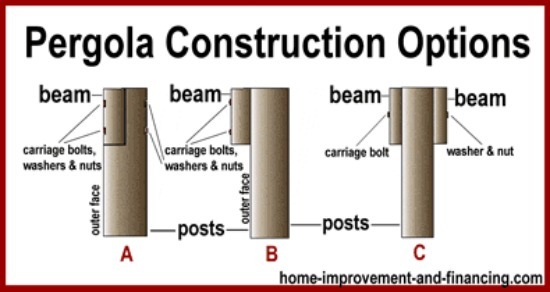 Trim out your posts up at the top under the beams and at the bottom covering your hardware or for decorative purposes. Use the 3″ Screws since you have them, not because it is necessary. If you prefer, you can purchase the more appropriate 2 1/2″Galvanized Finish Nails or use a 2″ Screw. Since this project is about being efficient and budget friendly I am giving you permission for overkill because it is easier that way. Again you can choose to miter the corners for a more finished appearance but this is optional. Fill any screw holes, sand, and finish or seal as desired if you didn’t do so up front. Image Source: the few images included in addition to my own drawings, are from the site I have provided a link to above, for installation methods. Love the style and look of this pergola that you have posted. We are considering building one of this style but would like it to be a bit bigger dimension. I am wondering if you could help with the list of necessary lumber and cut list for our dimensions? 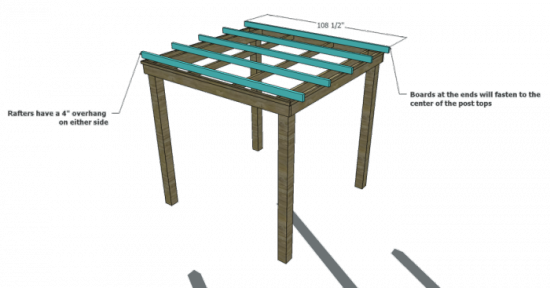 We would like our pergola to be 10′ x 12″. We would be building our pergola on a cement patio. Any suggestions or advice you have would be greatly appreciated. definitely! give me a day or so and i can post the alterations for you! i can likely do it here in a comment with ease. in the meantime, they have some fantastic hardware options out there that work specifically for securing pergolas to concrete. the idea is that it will grip the base of your posts and bolt to both the concrete and the posts. simpson strong tie has all sorts of things like this, so it would just take a bit of digging on the interwebs to find. stay tuned and let me see what i can gather for you. Do you have the plans for a 12×12 pergola? I’ve searched but cannot find anything posted for this style pergola. Love your plan and we are building one within the next month. Would really like to build this one.. Thank you. Looks beautiful! 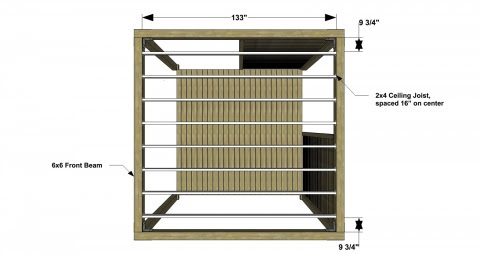 I’m also looking to build this as a 10’x12′ on concrete and would love to see the altered plans if possible. Thank you! This is great breaks it down very well, I was wondering if you could give me a altered plan for a 12 by 10 on a ground level wooden deck thanks ! Hi Love your design I was wondering if you could give me a materials list for a 12×15 foot pergola over an existing concrete patio. Have you put together plans for larger versions of this? I see a few requests. I am looking for something like 14 x 20 or 12 x 18. I guess I am wondering how you would manage a post midway and joining the cross pieces. I love the look of the Pergola, do you have a shopping list / cut list for a 10 x 12 pergola?